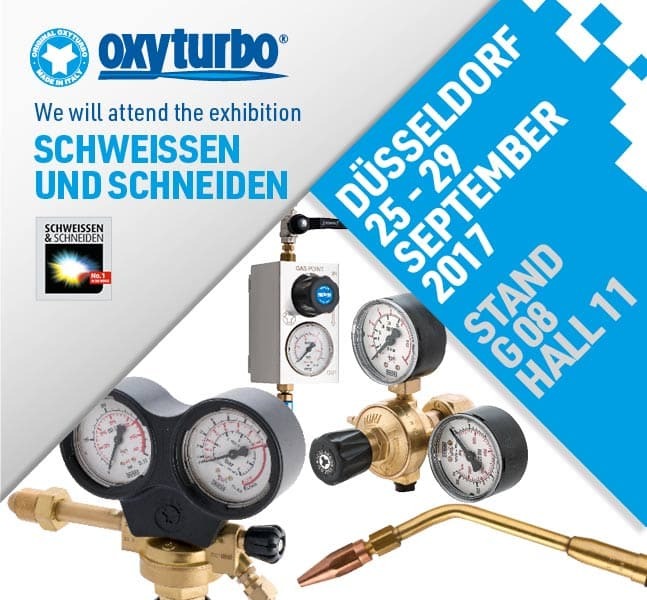 Oxyturbo will be present at international fair in Essen from 25th to 29th September. “SCHWEISSEN & SCHNEIDEN is a must for the entire sector. the fair stands one more time as the favourite observatory of the important sector trends. We are longing for the 2017 edition! Essen Fair is the number 1 sector fair in the world: from 25th to 29th September, international sector operators of junction, cutting and coating techniques will meet in 19th edition of SCHWEISSEN & SCHNEIDEN, which, because of restoration works at the exhibition centre of the organising authority, in 2017 will be held in Düsseldorf. “Join together”. Standing as a fundamental meeting platform for top experts and decision makers coming from all over the world, the fair gather all the main market leaders in only one hall and represents, as no other event, the whole sector production chain with a complete and innovative offer of equipment, products, processes and services. Oxyturbo cannot miss this important event. 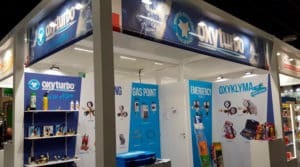 Come and meet us at Stand G 08 Hall 11: it will be a pleasure for us to explain you the LATEST 2017 novelties.